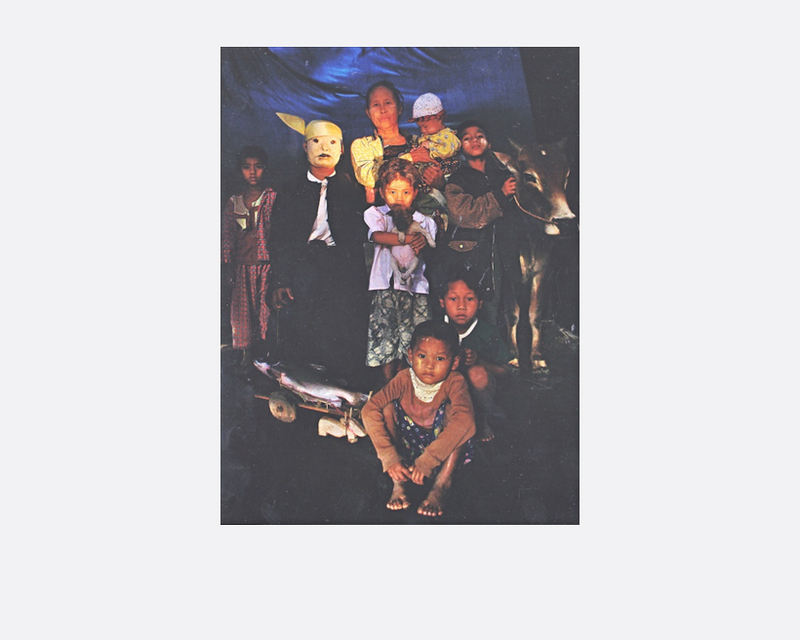 Though seldom included in Southeast Asian surveys, art from Burma appears increasingly on the regional radar. 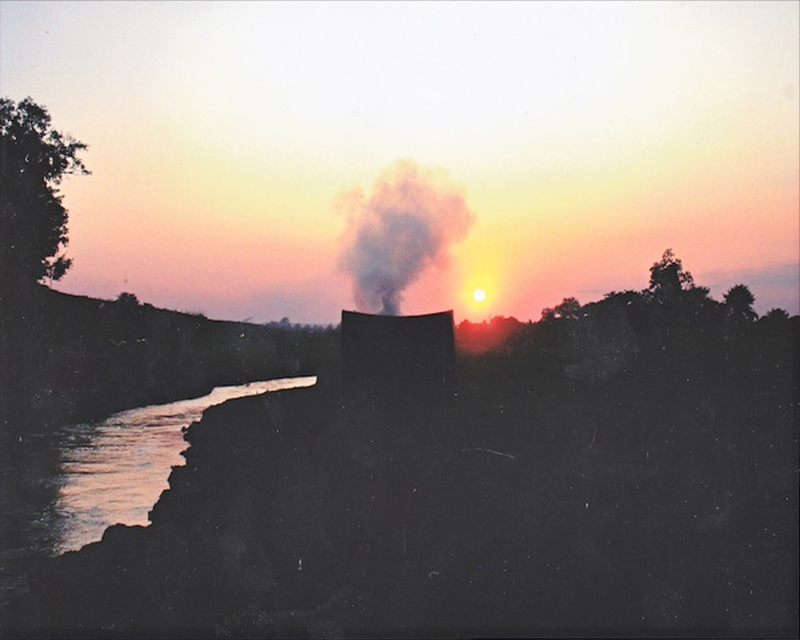 Nge Lay, a young artist living in Yangon, contributed a new photographic sequence that superimposed her own history onto that of her country. Performing herself behind the mask of her unknown father, Nge Lay emphasises on the importance of the paternal presence at the head of the family. 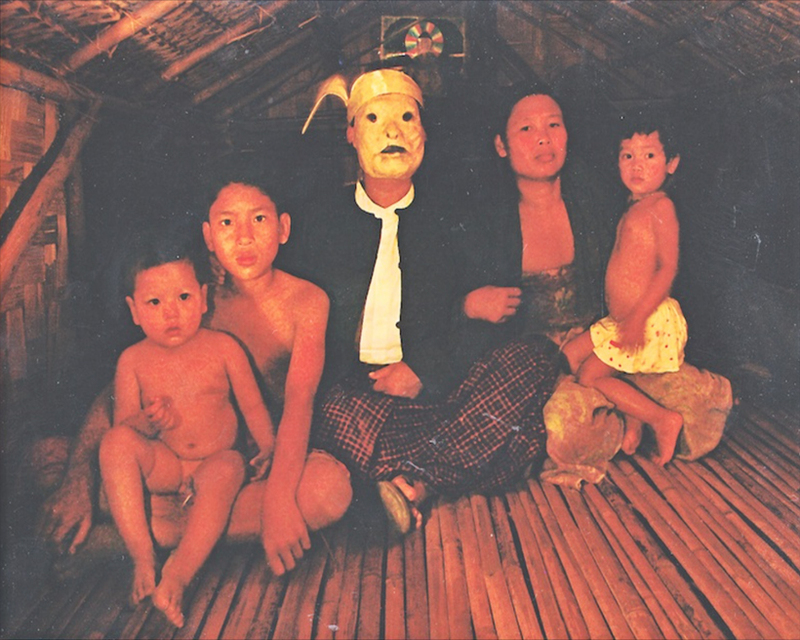 The Relevancy of Restricted Things, with a few rapid frames, depict groups of masked villagers whose dignity, longing, solidarity, frailty and endurance came to the fore as they face the physically and psychologically oppressive life that is the lot of the Burmese today. Nge Lay (Myanmar, b.1979) was born in Pyin Oo lwin, Myanmar, and currently lives in Yangon. She graduated with a BA in Painting from the University of Culture in Yangon, Myanmar in 2003 and went on to do jewellery design in 2004. Her interest in photography emerged in 2007. She has had a number of exhibitions in Yangon and Asia. Nge Lay participated in Magnetic Power, ASEAN-Korea Contemporary Photography and Media Art Project in 2009, TRANSPORTASIAN Contemporary Photography, Making History: Southeast Asian Art at ConversAsians during the Singapore Art Festival in 2010, and Women In-Between 1984–2012, Asian Women Art Exhibition at Fukuoka Asian Art Museum.